HÀ NỘI — The People’s Committee in central Quảng Ngãi Province has asked the provincial Department of Planning and Investment to revoke the investment certificate of Tân Mai Pulp and Paper Factory. The committee has requested the department to issue a written termination of investment in accordance with the provisions of the 2014 Investment Law. The decision was taken after the factory failed to operate in time. 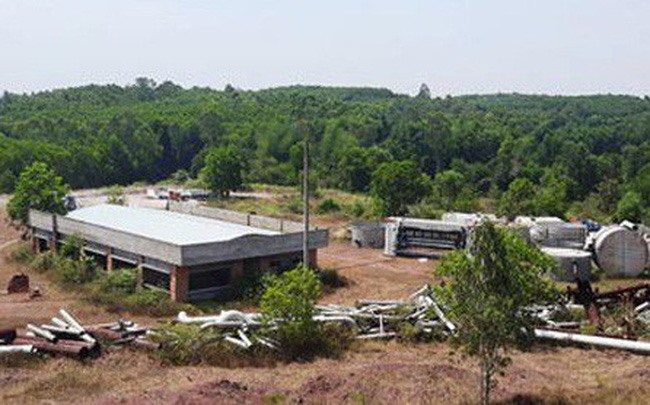 Deputy director of the factory Lê Quang Phúc said thousands of tonnes of machinery and equipment had been abandoned and exposed to sunlight for five years because the factory had not operated. The factory had rented nine workers to maintain and protect the machinery and equipment, he said. The project was granted an investment certificate in March 2009 and was scheduled for completion in 2011. Construction kicked off in July 2010 but had to be suspended in 2012. The investor’s identity has not been disclosed.